Emerald: Charley Boy confesses to being GAY! Charley Boy confesses to being GAY! Controversial entertainment personality, Charles Oputa, better known as Charly Boy, has set another record with his confession that he is gay. 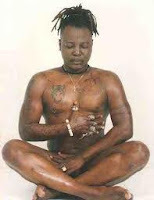 He becomes the second publicly known gay man in Nigeria is a record that only Pastor Rowland Macaulay beat him to by being the first Nigerian to openly come out of the closet and even establish a church that catered to only gays. Those who know CB well however say he's not someone who likes being a follower. He's always a leader in everything he does and he's now ready to take his rightful leadership position in the gay world. 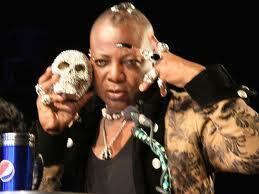 In an interview Charly boy declared that he is gay and not ashamed of being gay. Even as he made other disclosures about himself, he didn't forget to add that he is the head of the Illuminati in Nigeria, the same Illuminati that people accuse Jay-Z, D'Banj and Don Jazzy of being members and they keep denying membership. While his audacious revelations might seem like a publicity stunt on his part, let's not forget the saying 'there's no smoke with-out fire.' For CB to say all these things about himself there must be an element of truth in them. 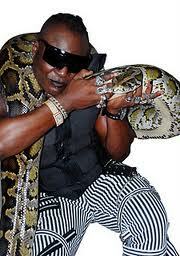 As a judge on Nigerian Idol, not only did he impose himself on the other judges, Yinka Davies and the American, Jeffrey Daniels, he was always going with a human skull to the show and once even went with a huge snake that scared the audience.